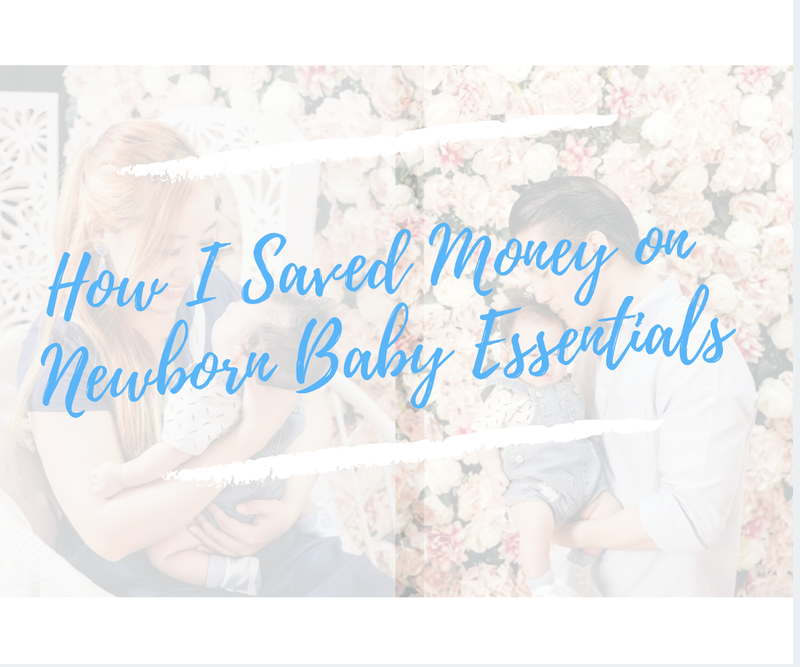 Raising a baby doesn't have to be expensive, and I'll be sharing my own tips on what worked for me along the way as I raise my own baby Nate. But first, let me let you in on a secret: I paid only $15 for my baby's diapers (newborn size) and almost nothing for his toiletries in the first few months, largely thanks to free samples. That saved me a ton of money! Here's how I did it. There's a LOT of stuff to buy for a newborn baby, but not everything is essential, so focus on just what you need if your budget is realllllllly tight. (eg. you can skip stuff like a changing table because you won't need it after 2+ months once your baby learns how to flip) I'm a huge advocate of baby products with dual-functions, or even repurposing stuff, so that I get more mileage back on my dollar! Some of the bigger costs involved in caring for a newborn baby includes stuff like diapers, baby-safe toiletries, furniture, healthcare and insurance. I'll share with you how I got around them and kept my costs low. 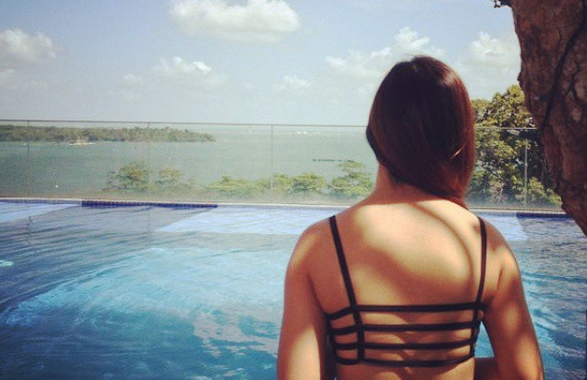 This is my #1 tip for any expecting parent in Singapore. We're extremely lucky to have a myriad of pregnancy conferences organised every year to help us (especially first-time parents!) ease into parenthood. 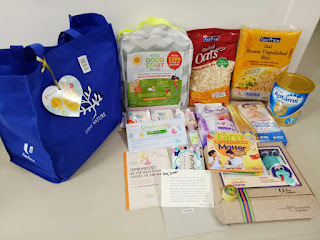 Not only do you get to learn about nutrition during pregnancy, what to expect during labour, how to deal with labour pains, etc, you also usually get a free goodie bag if you stay till the end, and there's tons of great value in those bags! The ticket price you pay (ranges from $5 - $20) is honestly too cheap considering the value of the items you get to bring home from most of their goodie bags! 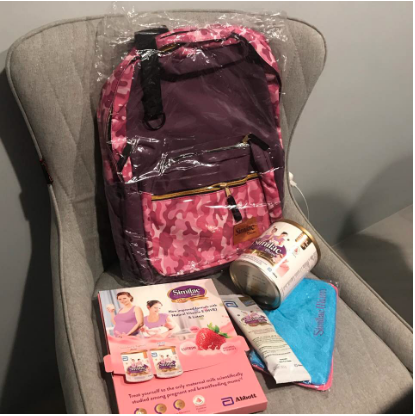 I attended 4 pregnancy conferences during my time and accumulated so many free samples that I didn't have to pay for any breastmilk storage bottles or bags, and saved on baby toiletries in my first few months! 2. Go for baby fairs. This is another great way to not only check out awesome deals, but also get free samples at the same time. I attended 2 baby fairs in 2017 when I was pregnant and got a box of 10 MamyPoko diapers each time. If you walk around the booths, many of them will give you samples as well to try out! 3. 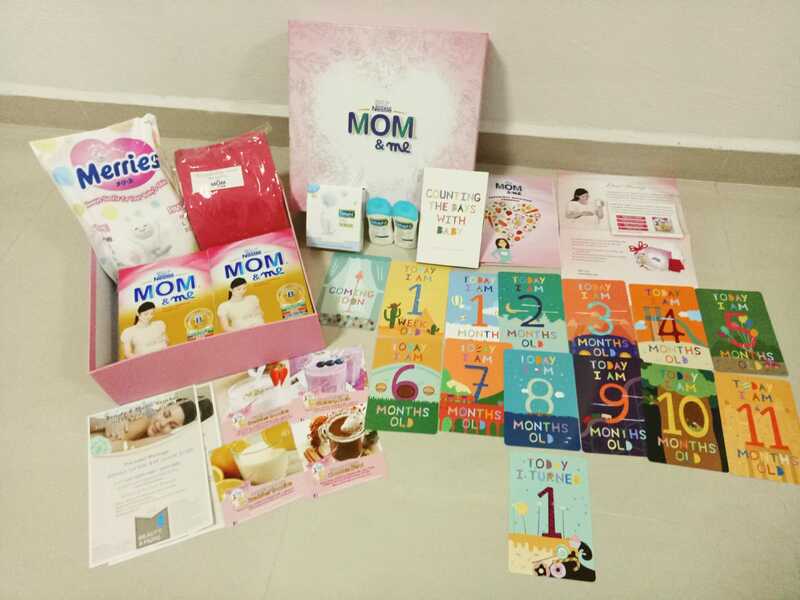 Get free diaper samples online, or by contacting the diaper brands directly. Every baby's skin is different. For instance, some people like Drypers because it's the cheapest, but surely their baby must have some thick skin because Drypers doesn't work for baby Nate - it scratches his skin and leaves nasty red marks. 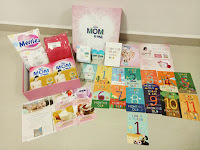 Hence, it is worth getting samples from all the different diaper brands in order to find what works best for your baby before you commit to one. 4. Get free skincare / toiletries samples online. 5. 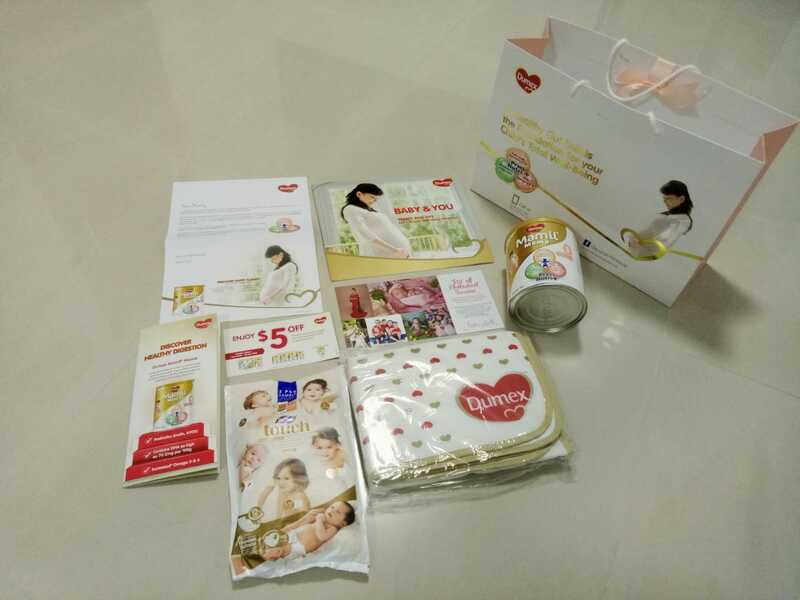 Get free maternity milk samples / bundles online. 6. 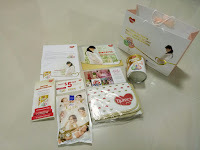 Claim your free NTUC Good Start Bundle (after you've given birth). 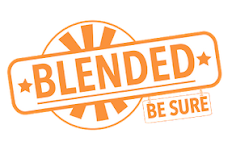 You can read my post here on what's included in the bundle. Tip: it includes "free" hospitalisation insurance for the first year! 7. Get insurance for your baby. Trust me, one way to keep your costs low will be to insure your baby with a hospitalisation plan as soon as you can (typically after 2 weeks of birth). If you can afford slightly more, I would also highly recommend a personal accident cover to supplement it, given that babies are extremely prone to falls and injuries. In this way, you basically pay a few hundred dollars each year to avoid being slapped with bills in the thousands. Go figure for yourself if that's worth it. I've previously written about how they work here, so you can read the post to understand more. 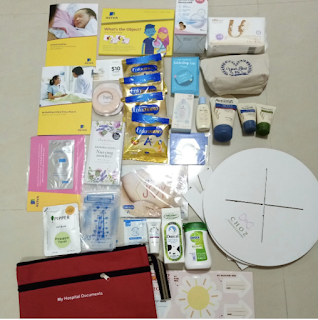 Another way to save money would be to claim the free ones, such as from NTUC Income (free for first year with the NTUC Good Start Bundle) or Aviva (complimentary for mothers who deliver in Thomson Medical or Mount Alvernia Hospital). 8. Get your child vaccinated at a polyclinic instead of going to a paediatrician. Baby Nate is fully vaccinated at our nearest polyclinic! I know this isn't always possible for some mothers (including myself, as I yield only 30ml every 3 hours), but if you're blessed with a good supply of breastmilk, that will help you save tons of money on formula milk! If not, read my post here on what brand of infant formula milk we use for baby Nate and why. 10. Buy secondhand baby furniture online. Because babies outgrow their cots and playpens so quickly, there are many parents selling their baby furniture online for cheap just so they can clear space. We got our rocker, baby cot and play gym for less than $300 combined simply by buying on Carousell. Hooray! I bought a whole bunch from Taobao which were not only super wallet-friendly, but also of great quality. You can check out my Taobao shopping links here in my previous post. 12. Buy from Shopee or Qoo10. These sites are great for baby stuff like diapers and more, as they often run timed sales so do keep a lookout for them! Stack with coupons and claim shop vouchers as well, and check out with a cashback card to get even more money back from your online shopping! I was able to buy milk powder and diapers for cheap thanks to a combination of these hacks. I love iHerb for baby toiletries, skincare, and nursing tea. Brands that I get from iHerb which are wayyyyy cheaper than buying retail in Singapore would be Aveeno, Desitin, Avalon Organics, Earthmama, Babyganics, Gerbs, and more. 15. Install the RateX Chrome extension to help you apply promo codes automatically! Always searching for the latest (and valid!!) 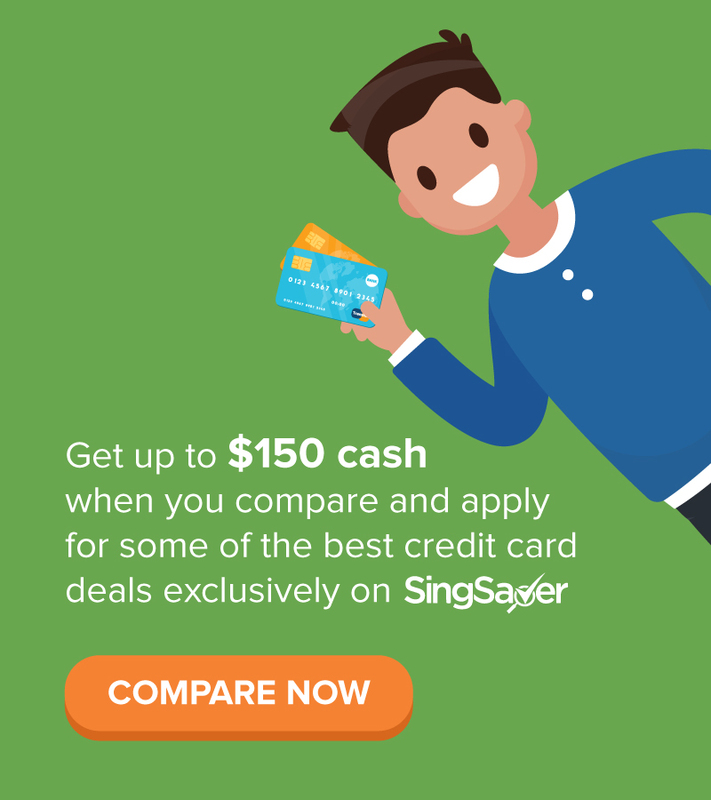 promo codes to get a discount off your online shopping? Get it done with just one code now with the RateX Chrome extension, which I've been using for my purchases on RedMart, Lazada, Honestbee, and more! 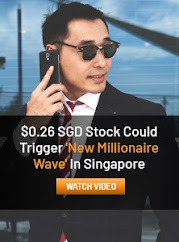 Click here to install and get $8 instantly, or read my review here first. 16. Don't rush to buy toys. You might receive them as a gift from friends or relatives who can't wait to spoil your baby, so don't make the mistake of buying toys too early! I almost did until a good friend reminded me, and thankfully I heeded her advice because baby Nate received quite a number of toys as gifts during his 100th day bash! Another good friend of mine also dropped off a bunch of toys that her own kids no longer needed. You can also buy secondhand ones for cheap from Carousell, or even DIY your own! I've DIY-ed a few toys for baby Nate (to help train his motor skills) and he loves them - will share photos of them on my Instagram soon so you can keep a lookout there if you're keen to learn how to DIY your own toys too! And that's how I save money even while caring for a newborn ;) there'll be more expenses to come as they grow older, but in the meantime you can save some money this way while saving up for their education. Remember, you've got this! Thank you for this fabulous post. I have a question. For a new parent that is researching the best baby products to buy, which product will you recommend as the must-have before every other baby product? Thank you.